"My own photos in a book for the first time"
In celebration of Father’s Day, we’d like to share a story behind a special photo book our colleague, Femke, created for her Dad’s 70th Birthday. 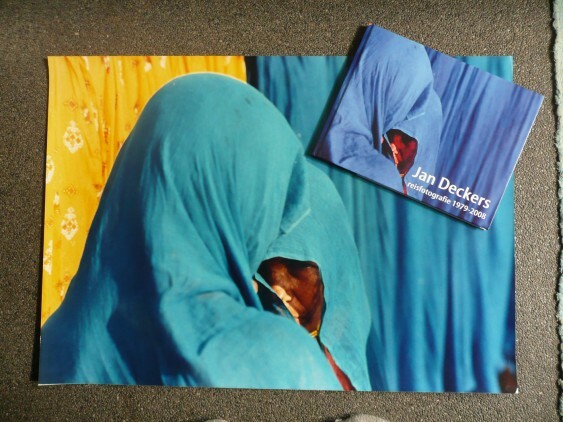 It all started when Femke was searching for photos to create a photo book. She suddenly remembered the many photos her father (a photographer at the time) used to show her while she was a teenager and, after asking him if she could use some, she set about creating a photo book. What she then discovered had moved her to tears. Looking through his work, Femke realised that she’d never really given her father credit for taking such great photos. The images she saw also inspired her to travel the world and experience life as he had done. Femke explains that she took digital photographs of her father’s analogue photos.This made her photos look like “cut outs”: an unexpected accident which she was happy with as it resembled how she saw life – as “never straight or perfect”. The original cover photo (A3). Digitised by taking a picture of it. And so it comes full circle: what started as an unremarkable task ends with remarkable results.